Beautiful on its own or as part of a stack of rings, our Aphrodite Gold Stacking Birthstone Ring adds a touch of color and sparkle to your everyday look. Available in 10K or 14K Rose, Yellow or White Gold. The base Aphrodite Gold Stacking Birthstone Ring includes one 10K or 14K ring. Select from either 10K or 14K yellow, white or rose gold and select your band design. Band design width is approximately 1.85mm tall and you may choose between time-worn plain, pyramid stud, irregularly shaped beaded or classic leaf. Each ring is set with a 3.00 mm authentic stone. Bands are narrow so that several rings may stack on the same finger. Stack the Aphrodite Gold Stacking Birthstone Ring with our initial rings, vintage-inspired bands, birthstone rings or with your own collection of rings. The base 10K or 14K Aphrodite Gold Stacking Birthstone Ring design comes with one 10K or 14K gold ring measuring approximately 1.8mm wide and is available in yellow, rose, or white gold - choose from a leaf, beaded, plain or pyramid stud design hand set with a genuine 3mm birthstone. Note regarding band designs shown on Ellen Pompeo. Large stone shown on her ring is her own wedding ring and not the birthstone from this design. 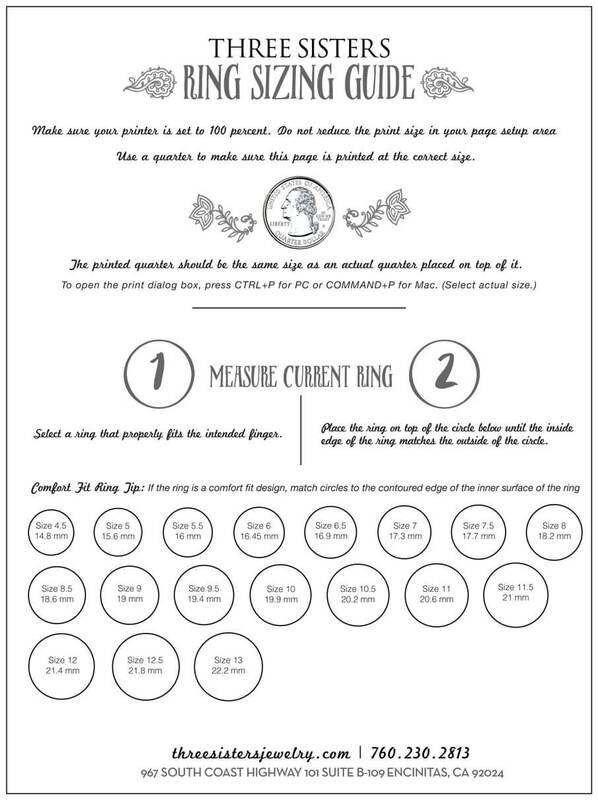 Need assistance determining your ring size? Use our downloadable ring-sizing guide. This design is custom made in our California-based studio. As each unique piece is crafted by hand, slight variations will occur. Please allow an additional one week for fabrication of our 10K and 14K designs in addition to our standard production lead time. These were a perfect gift for my wife. They were exactly what she was looking for, Simple, and beautiful. I purchased three rings one with my wifes birthstone and one with each of our daughters stones. They look amazing and she loves the look of them. Even though I ordered late I still received them in time for Christmas which made it even better. I highly recommend this company for their quality and first class service. Love these shiny rings. They are really good quality and look great with everything! I was a bit surprised by how small the stones actually were. Obviously the photos are zoomed in to show the beautiful detail, but even the photo of the actress wearing the rings is a bit misleading, in my opinion. I think including a simple photo of a hand modeling the rings could give a better representation of the size of the stone compared to our own hand/finger. Response from Three Sisters Design: Thank you Marissa for your feedback! It is greatly valued. We have added a photo recommendation to show the rings on a hand model. We have also added the stone size to the product description. Again - our thanks for making our products better for our customers.